Recently we have been spending a lot of time sharing indoor activities for toddlers because, lets face it, the weather is miserable but my toddler does not seem to share my love of “the duvet day”. Nope, he requires full force energy, entertainment and activity regardless of the weather. If your toddler is the same, and you’ve missed out on all of our activities so far, then you’re in the right place because you can find them all here! If you and your toddler love working on picking, poking, pulling, twisting and more then this is the place for you. Has your toddler got energy to burn? Show me a toddler who doesn’t! This is the place for all things running, jumping, climbing, crawling, skipping and more. If, like me, you love activities that require little to no preparation you will love these Indoor Simple Play ideas. If you love sensory bins but dread the clean up operation afterwards, this could just be the place for you. These sensory bins are designed for indoor use and are all (what I would consider to be) less messy but still offer maximum fun for your toddler. 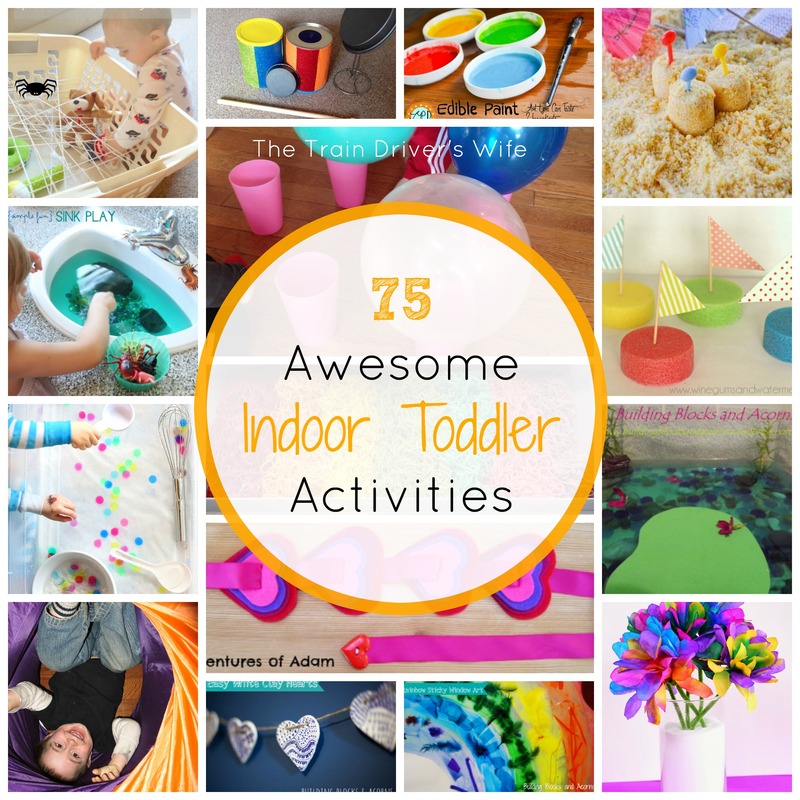 If you’re feeling creative and love to make and do, why not check out these awesome indoor arts and crafts designed specifically for toddlers! We have absolutely loved collecting and trying out these ideas. They have certainly helped to keep the winter blues at bay and have stopped our days indoors from dragging on too. I hope you have enjoyed it as much as we have. Feel free to get in touch and let us know which activities you have tried and loved and share any other suggestions too! Love these ideas, I will be sure to try them out with my little guy. Thanks for including our taste safe paint!